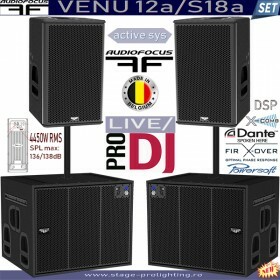 Sistemul este produs in Belgia de AudioFocus, are 3 ani garantie si poate fi adus prin import intra-comunitar cu integral anticipat. Este absolut nou, sigilat, iar pretul poate fi comunicat numai telefonic, sunand la magazin. 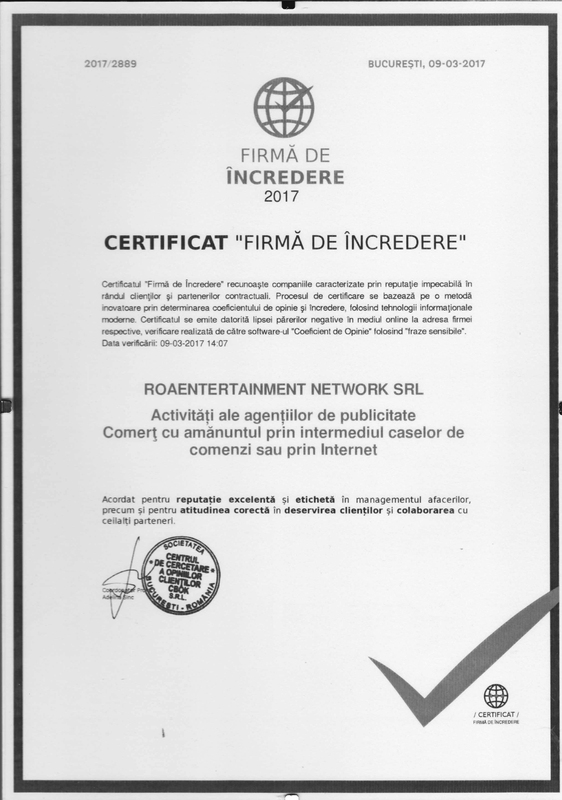 Intregul sistem poate fi livrat in numai 5 zile din momentul confirmarii platii integrale. 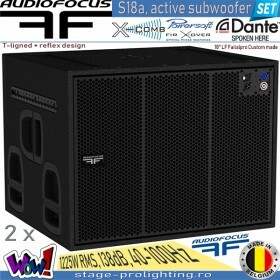 The B18a is a self-powered flying bass, lowering the combined system operating range down to 55Hz. 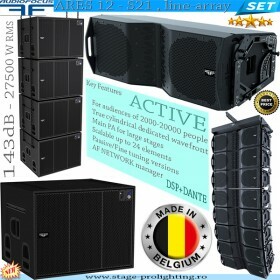 Its compact size and integrated rigging makes it extremely well suited for flown coupled configurations with ARES 8 line array system. RS485 option can be implemented to ensure control, corrections and diagnosis of the B18a. 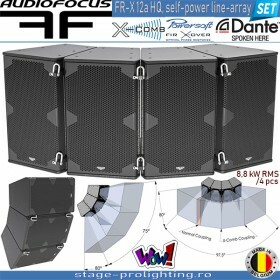 By making a daisy chain with ARES 8 line array system, the complete set is under control with Armonia Software. It can be used on floor or rigged depending on user’s need. 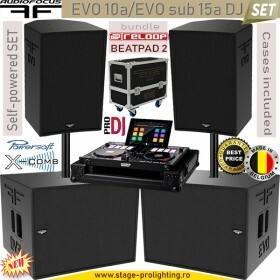 It includes 4 versatile preset for Bass, Sub and cardio applications. 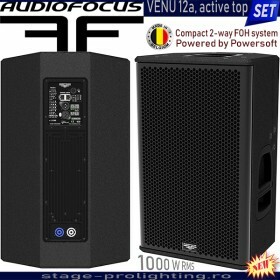 The B18a features one 18’’ transducer in a AUDIOFOCUS design enclosure. The cabinet is made of first grade Baltic birch plywood. (1) Peak SPL is calculated on built in amplifier's peak output voltage limit, perfectly matched with specific B18a driver. Peak SPL is calculated on built in amplifier's peak output voltage limit, perfectly matched with specific B18a driver. 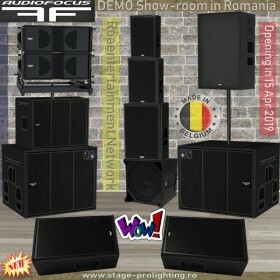 ARES 8 line array system is suitable for a wide range of sound reinforcement applications from small scale concerts to theaters where sound quality is crucial. 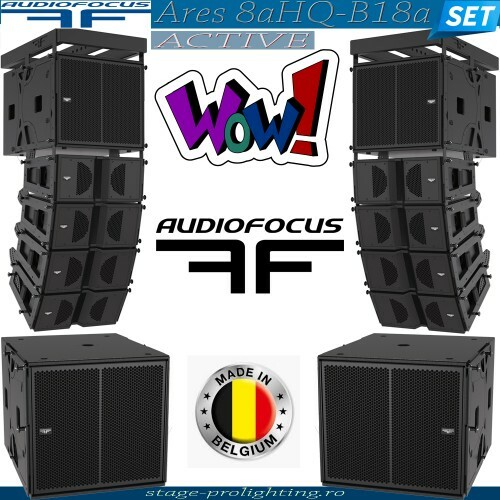 AUDIOFOCUS ARES 8 offers all the benefits of real line array respecting all WST criteria. 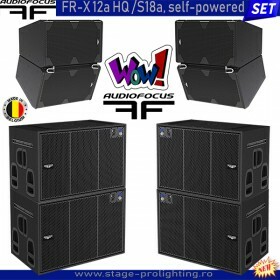 Dual 8’’ Faital Pro handles low-mid frequency range while a 1,4’’ exit compression driver coupled to a waveguide provides smooth top end. With this compact and lightweight cabinet a single operator is capable to set up individually the system of 8 elements only in ten minutes due to smart and handy rigging. 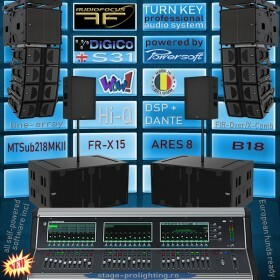 – ARES 8 is available in “Plug & Play” version with 4 preset, DSP and amplifier from Powersoft. 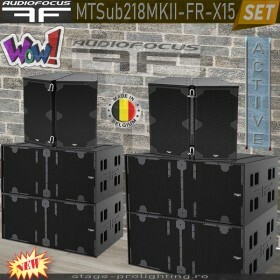 – A Bi-amp version is available with Powersoft set up and amplifiers. 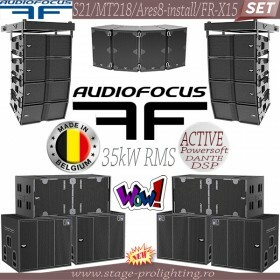 – ARES 8 line array system is listed in Ease Focus database.